In the course of our business we get asked all sorts of questions. To try and help answer the most common ones, we have put together a ‘frequently asked questions’ list below. If the answer to your query is not included, don’t worry, just contact us and we will do our best to help. It is difficult to envisage how much space you are going to need so, to try and help, we have put together an ‘easy guide to skip hire‘ which includes a table of our skip sizes, average dimensions and capacity plus a ‘black bag’ approximation. We have photos of our skips plus a reference list of the typical waste that each is used for. If this doesn’t help, please contact us. Generally anything non-hazardous can go into the skip. For example, garden waste, soil, bricks, rubble, general household waste, wood, cardboard, plastics, metal, old furniture, bathroom and kitchen fitments. Is there anything I can't put into the skip? Waste which is termed ‘hazardous’ (see our hazardous waste page) must be handled in a specific manner. Items such as asbestos, plasterboard, paint, tyres, gas bottles, fluorescent tubes, light bulbs, freezers & fridges, vehicle batteries, oil and chemicals cannot be accepted in general skips. Please contact us for further advice and assistance for these items. Rules state that, unless a permit is issued, skips need to be kept on private property, for example, on a driveway, in the garden, on a building site. If the skip is to be placed on a public highway the local Council will need to issue a permit – we can apply for this on your behalf. The permits typically last for 28 days. For more information, please contact us. We will not collect the skip until you have finished with it and called to arrange collection. Our prices usually cover a 14-day rental with an additional daily fee but please let us know an estimated period at the time of quotation and we will do our best to provide a competitive rate. Maximum load is level with the skip sides. This is to ensure that we are covered for transportation regulations. If you have a problem when the skip is on site, please contact us and we will provide advice. How much will the skip cost to hire? Prices depend on which skip you wish to hire, how long you want it for and where you are located. Our prices cover delivery, collection and disposal so there are no hidden extras to worry about. Please contact us for a free, no obligation quotation. How do I order a skip from you? We can be contacted by telephone, e-mail, via our website contact form or, in person at our Wellington depot. What happens to my waste after you have collected the skip? We take the skip back to our licensed waste transfer station where it is fully sorted and separated. We aim to recycle as much waste as possible – at present in excess of 80% – and, if re-processing, try to keep it as close to home as possible. What if I have a narrow driveway? If you have a narrow drive then the mini skip is your best option. We have specialist smaller lorry to deliver it, however we will need to know exactly what space you have available so do be sure to mention this when ordering. What access do you need to deliver the skip? Wellington Waste Skips Ltd is a company registered in England and Wales with the registered number 4342685. Our VAT registration number is 713 1849 46. We are registered NPSTE waste carriers. 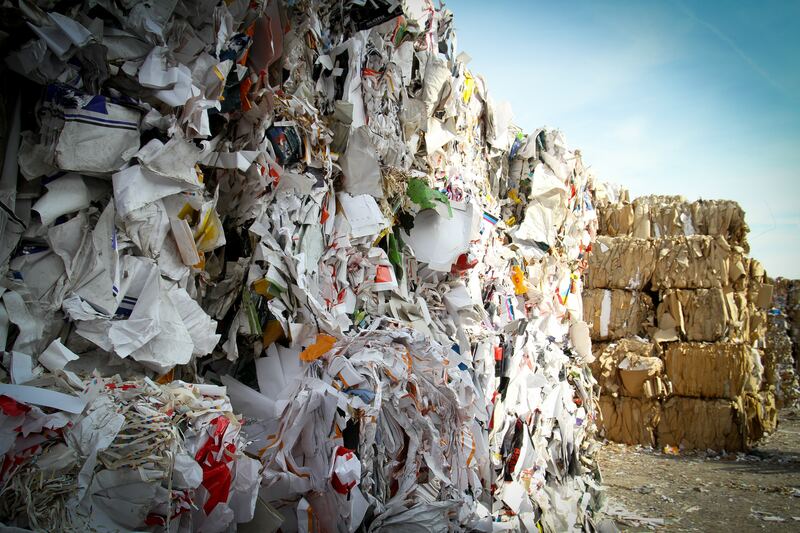 Our carrier number is CBDU71802 and our waste management licence number is 27038. We are also certified with WAMITAB, certificate number 1454.